One of the global leaders in the external exchange industry, Interval International, will be renewing their multi-site affiliation agreement with Spinnaker Resorts. This agreement includes nine resort properties in Branson, Hilton Head Island, and Ormond Beach. Executive director of Spinnaker Resorts, Carolyn Oliver, also noted the importance of offering these incredible exchange and member benefits through Interval International for owners at Spinnaker Resorts properties. The offerings of Interval International compliment the member benefits and amenities of Spinnaker Resorts. Each resort property offers a unique selection of features including recreational activities, state-of-the-art fitness centers, and gorgeous swimming pools. There are five Spinnaker Resorts in Hilton Head Island where guests can enjoy scenic golf courses, sparking beaches, and family-friendly attractions. Branson is home to two Spinnakers Resorts along with exciting entertainment, theme parks, and outdoor adventures. For a Florida getaway, there are two Spinnaker Resorts in Ormond Beach, where guests will enjoy a laid back beachfront escape. New owners at Spinnaker Resorts get the privilege of being automatically enrolled as individual Interval International members and Interval Gold® members. This upgrade entitles members to additional benefits such as Interval Options®, ShortStay Exchange®, City Guides, Golf Connection, Interval Experience, and additional discounts on rental cars, dining, and entertainment. 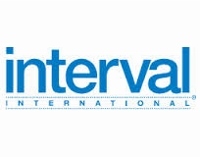 Learn more about the offerings of Interval International on their official website.